Valentine’s Day is probably not be everyone’s favorite holiday. I actually make a point to avoid going out to dinner on the actual day. Getting crammed in an overbooked restaurant while eating overpriced prix fixe meals? No thanks. Well I’ve got a reason that’s going to make Valentine your favorite time of the year: winning a year’s worth of free dresses from Lulu*s.
YES, AN AMAZING YEAR OF FREE DRESSES FROM LULU*S.
Forget the flowers, treat yourself to fab frocks for Valentine’s day! 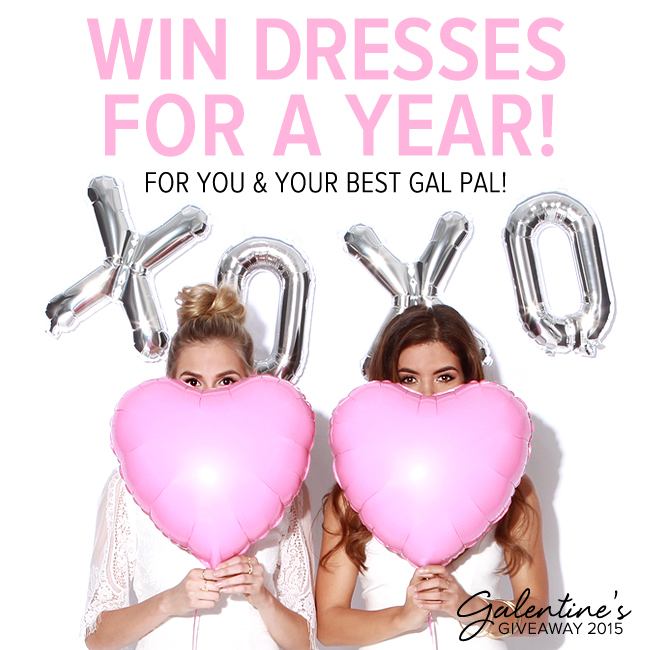 Lulu*s giving away an entire year of free dresses to one lucky gal (and her best pal) for all of 2015!! All you have to do is subscribe to their email newsletter by entering your email address below! You’ll get a coupon code for immediate shopping upon entry and kept up to date on all the latest looks and chic styles! Want an additional entry (and a better chance to win)? Refer a friend! Visit Lulu’s website for more details and to enter the giveaway. I had a fun day hanging out with my favorite galentine, blogger Megan Zietz of TF Diaries in our Lulu*s frocks. Just in case you’re wondering, galentine is just what it sounds like: valentine love for your gal pal. I must say, I’m loving our looks and I could definitely get used to getting a years worth of it for free (who wouldn’t). My outfit: repeat after me black striped dress, lumber jane plaid coat. 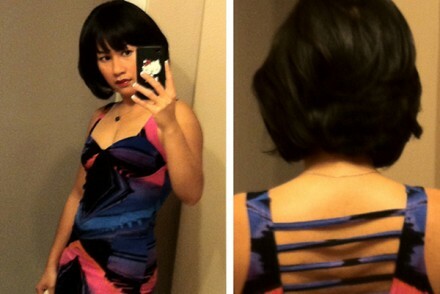 Megan’s outfit: ballet liaison strapless dress.